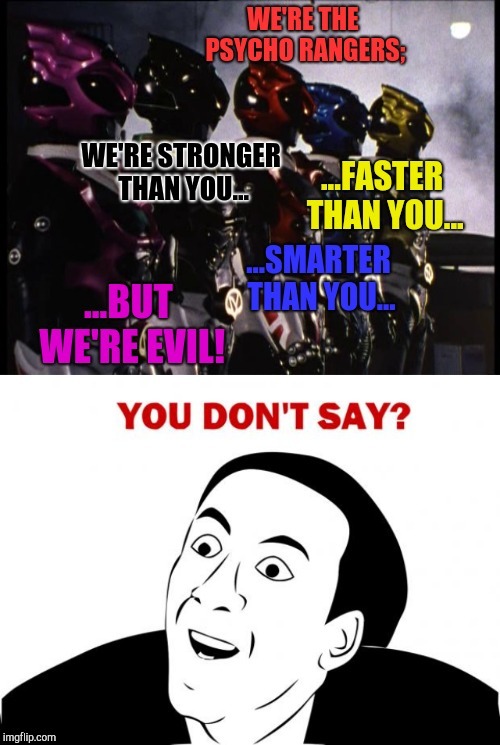 WE'RE THE PSYCHO RANGERS;; WE'RE STRONGER THAN YOU... ...FASTER THAN YOU... ...SMARTER THAN YOU... ...BUT WE'RE EVIL!